This book is the follow up to the author's internationally best-selling personal development guide The Highly Sensitive Person. 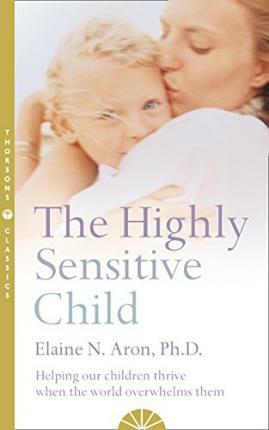 With the publication of "The Highly Sensitive Person, Elaine Aron became the first person to identify the inborn trait of "high sensitivity" and to show how it affects the lives of those who possess it. Up to 20 percent of the population is born highly sensitive, and now in "The Highly Sensitive Child, Aron shifts her focus to highly sensitive children, who share the same characteristics as highly sensitive adults and thus face unique challenges as they grow up. Rooted in Aron's years of experience as a psychotherapist and her original research on child temperament, "The Highly Sensitive Child shows how HSCs are born deeply reflective, sensitive to the subtle, and easily overwhelmed. These qualities can make for smart, conscientious, creative children, but with the wrong parenting or schooling, they can become unusually shy or timid, or begin acting out. Few parents and teachers understand where this behavior comes from-and as a result, HSCs are often mislabeled as overly inhibited, fearful, or "fussy,"or classified as "problem children" (and in some cases, misdiagnosed with disorders such as Attention Deficit Disorder). But raised with proper understanding and care, HSCs are no more prone to these problems than nonsensitive children and can grow up to be happy, healthy, well-adjusted adults. - Making school and friendships enjoyable With chapters addressing the needs of specific age groups, from newborns through teens," The Highly Sensitive Child delivers warmhearted, timely information for parents, teachers, and the sensitive children in their lives. "From the Trade Paperback edition. "To have an exceptional child you must be willing to have an exceptional child. You have one. And this book will teach you how to raise him to be not only exeptional, but healthy, loving, well-adjusted, and happy." Elaine N. Aron, Ph.D.